ILS is in Abu Dhabi, United Arab Emirates for the Global Space Congress which takes place from March 19-21. The Global Space Congress, hosted by the UAE Space Agency, is a strategic gathering of global space industry leaders. Promoting the worldwide industry of space, the Congress brings together over 600 key space agencies, commercial space, academia and end users of space services to evaluate the biggest opportunities in the space sector and to get exposure to the world’s most vibrant and energetic new space programs. Focused on partnerships, the Congress enables these leaders to focus on collaborative development and the implementation of core space and satellite technology strategies, bringing global and regional economic benefits. 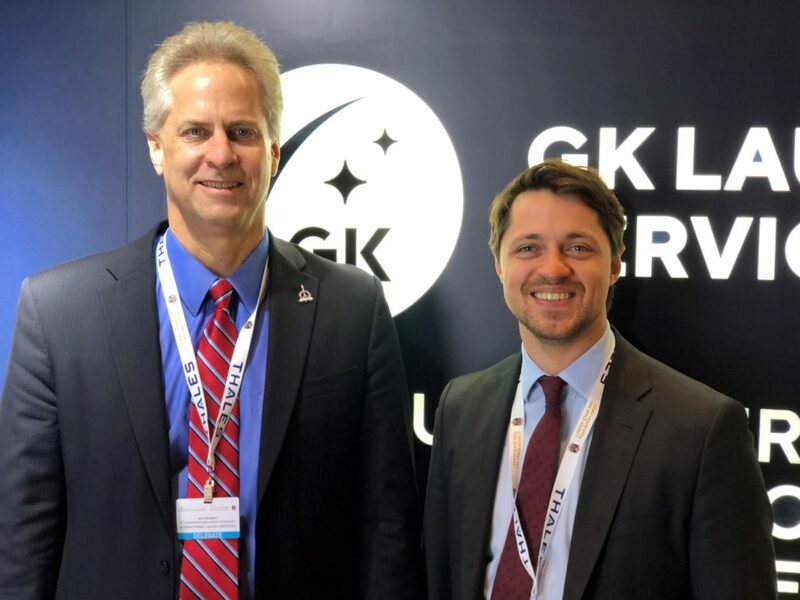 PHOTO: Jim Kramer, (left), ILS Vice President, Engineering and Mission Assurance, poses with Alexander Serkin, CEO, GK Launch Services, at the Global Space Congress held in Abu Dhabi, United Arab Emirates.